Company Director & Senior level Talent specialist recruiting Marketing Insight and Research Consultant specialists on a permanent and interim basis for global and UK companies across all disciplines. Manuela (B) has ALOT of experience in recruitment. She has recruited for a variety of industries, predominantly international financial services & business intelligence/information companies before overseeing the introduction of the Market Research division. 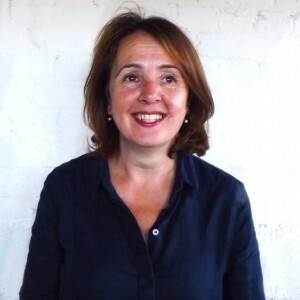 Manuela is Board Director and responsible for Recruitment Strategy, Marketing, Technology and Compliance. Manuela loves colour, wood, quirkiness, her dog, turbans & adventure. She would more than happily spend her holidays trekking to the North Pole with her family. of the people I work with and their positive energy. I also believe that in our industry you’ll never get bored; you learn a lot about companies, people, jobs and their quirks. We’re able to build long standing relationships with the people we work with and see first- hand how companies work and what makes them successful. I love the fact that what we do can have a long term impact on our clients’ and candidates success.